President Barack Obama has nominated an Indian-American, a former official at its Embassy in New Delhi, as the next US ambassador to Sri Lanka and Maldives. 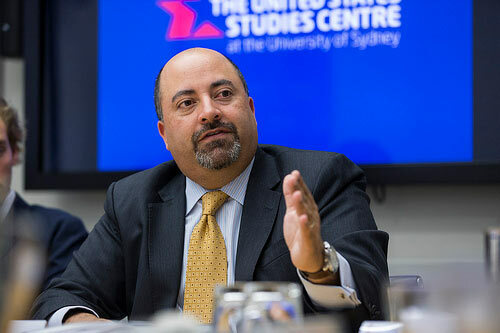 Obama yesterday announced the nomination of Atul Keshap, a career foreign service official, as the next US ambassador to Sri Lanka and Maldives along with Alaina Teplitz as the next ambassador to Nepal. While announcing their nominations, Obama said, “I am honored that these talented individuals have decided to serve our country. They bring their years of experience and expertise to this Administration, and I look forward to working with them”. Keshap is currently serving as the Deputy Assistant Secretary of State in South and Central Asian Affairs Bureau of the State Department. As his current role, Keshap had worked closely with Assistant Secretary of State Nisha Desai Biswal to coordinate US policy toward India, Bangladesh, Sri Lanka, Nepal, Maldives, and Bhutan, comprising a diverse and strategic region of almost 1.5 billion people and over USD 2 trillion in economic output. Previously, he served at the Department of State as a US Senior Official for the Asia Pacific Economic Cooperation in the Bureau of East Asian and Pacific Affairs from 2012 to 2013. From 2010 to 2012, he was the Director for India, Nepal, Bangladesh, Sri Lanka, Bhutan and Maldives in the Bureau of South and Central Asian Affairs. Prior to that, Keshap was Director for United Nations Human Rights in the Bureau of International Organization Affairs from 2008 to 2010 and Deputy Political Counselor at the US Embassy in New Delhi from 2005 to 2008. He had also served as Director for Near Eastern and North African Affairs in the National Security Council from 2003 to 2004 and as Special Assistant to the Under Secretary for Political Affairs from 2002 to 2003. Keshap, a graduate of University of Virginia, studied Economics, International Relations, Diplomacy, and Religious Studies, as well as French. He has working proficiency in French and speaks conversational Hindi and some Vietnamese.